Over the last couple of years we saw many foreign businesses coming to Indonesia with a huge portion of enthusiasm, good products or services and foreign investors full of engagement and business ideas. Some of them succeed - but some of them failed. Many times this failure was dramatic and cost the company money, time, a loss of reputation and sometimes even the whole business. Those companies made some crucial mistakes which can be summarized in a top 10 of "Why do foreign businesses fail in Indonesia". Working in a foreign country without knowing the legal basics is never a good idea. In Indonesia it will kill your business quickly. The Indonesian laws and regulations are a jungle and change frequently. What was right yesterday must not be right today. Our advice: Obtain as much information as possible before starting your market entry. Crosscheck information with various sources. Check if you have sufficient resources to cover the legal and regulatory topics. 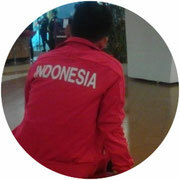 Indonesian culture is different, far different from western culture and even from many Asian cultures. It might look all too easy in the beginning, but by digging deeper into business you will experience the huge differences. Don't underestimate the impact of culture to business, communication, cooperation, management and daily work. Our advice: Get a cross-cultural briefing before starting and a cross-cultural training when you are in Indonesia. It will help you more than it will cost. It did not work with others and it will not work for your business. Things take time in Indonesia and sometimes more than you may expect. Even if you are promised that licenses are issued within a day or a certain permit can be obtained in 3 days reality looks different. Setting hard deadlines will only lead you to frustration and trying to push processes will lead to the opposite. Our advice: Make a realistic time planning with buffer. Setting up a company may take up to 6 months till you have all necessary papers. Starting a sales project might take years before the first deals are coming. Don't count on "official processing times" of authorities. Yes, you can earn a lot of money in Indonesia but before that you have to invest. Starting with minimum invest requirements for FDIs, via fees for consultants and lawyers up to the budget for operations you will need money. Even if Indonesia might be a little bit cheaper than other countries you still have to see that qualified labor will not be for free, good consultants charge international fees and getting your bills paid before the first customer pays you must be done. Our advice: Calculate your budget carefully. Think about what you will need to setup your business and calculate your operating cost. Don't guess them, ask someone who knows the business in Indonesia and do some research. Don't think that Indonesia is cheap! A beer in Jakarta might cost you the same as in your home country. Here we go with our special topic. Of course you can ask your local "friends" about doing business in Indonesia or someone who has an Indonesian passport. But do you think those people give you a professional & qualified advice? If you would be asked about all the necessary aspects of doing business in your country would you know them? The same goes for semi-professionals like service agents or facilitators. They might tell you a lot to get you to hire them, but would you trust a Visa or travel agent to setup and run your business? Our advice: Get a professional consultant. Think about what you really need and hire only those consultants who have the experience. Check their track record, talk to them in person and pick the one who fits to you. Indonesia is a country full of licenses, regulations and laws you need to follow. Especially as a foreign invested business authorities will focus on you to comply exactly with all regulations for 110% and this from the first day on. Some licenses will be valid only for a limited time and need to be renewed. You will have to do tax reporting from day 1 of your business, implement certain HR standards, do proper accounting and bookkeeping and various other compliance topics. If you ignore them you will be in deep trouble, if you forget them it will cost you a lot of time and money to get them back on track and if you follow them you will need resources. Our advice: Be ready as of day 1 to follow compliance regulations. Get a detailed overview of what needs to be done. Watch out for deadlines, extension periods, processing times of extensions. Allocate resources to these works (people, time & money). NEVER IGNORE ADMINISTRATIVE OBLIGATIONS! Of course you will need to align your Indonesia business to your headquarter but think about two things: 1. different culture, 2. different regulations. It will be possible to work in some of your standards in Indonesia but some of them might not work, might be ignored or simply adjusted to what suites to your local staff. Trying to push outside standards by any means will drive you crazy. Managing with western style methods will lead you to the limit of your capabilities. Our advice: Find out what is possible in Indonesia and what not. Don't try to force things to work. Take a look into local companies, get some best-practice advice or ask an experienced consultant to help you to implement standards which work. Always watch the cultural background. This defines your standards! As already mentioned in point 3 it does not help to hurry in Indonesia. Things take time and sometimes even more than you might be told or expect. Authorities work in their own speed and in Indonesia they do not work service oriented. Trying to speed things up might lead into two directions: 1. you will be asked for speedup money - which is nothing else than corruption or 2. authorities will start becoming nasty by digging into every detail, asking for more and more documents or will simply let you wait. They have time, you not. Our advice: Be patient, don't pay speedup fees, plan your time carefully and calculate extra time for authorities. Follow the rules and don't become pushy. It takes as long as it takes. A very sensitive topic is on which basis you act and work in Indonesia as a foreigner. Once you do any business activities (even business trips, exhibition visits or going to a notary) you will need to have a proper business visa. There are various types like business visa on arrival for 30 days, a pre-issued visa for 60 days or multiple entry visa. Theses visas work well as you do not work for an Indonesian company. As soon as you have your business setup and want to work you will need a work and stay permit. Don't try to find any workaround (like Visa run to Singapore) because this will seriously endanger you personally and your company. Our advice: Get the right visas and permits. Hire a consultant for this job and take care that he is following the laws. Don't work in Indonesia with a business visa and don't do any business trip with a tourist visa. Take care of all foreigners in your company have the correct visas and permits. Sure, the Indonesian markets are growing fast, new businesses pop up everywhere, the opportunities are huge and you can earn a lot of money in Indonesia. But Indonesia business is not a sprint, it is a marathon! It will take time until you have your business set and ready and it will lots of time until you have your first projects, orders or contracts. Why? Indonesia is a market which is based on good relations. You will need to invest time to build such relations with business partners, customers, suppliers. Once these relations are settled good business will come. Our advice: Be patient and plan on the long run! Don't expect quick shots and easy money in Indonesia. Our job is to get you through the hard times when doing business in Indonesia and protect you from those failures. But to do so, you need to contact us before one of the failures happens. Of course we also will help you out of them, but it will cost you more time and more money. Our advice: Contact us before you start, invest some money in consulting and have a safe and great Indonesia business! !